During the month of November 2018, Help-A-Heart put the spotlight on various ways people support and donate to our organization throughout the year. Obviously, attending one of our annual fundraisers–the Celebration of Life Dinner & Silent Auction in June & the Superhero Heart Run in October–are two big ways you can further our cause! We also receive several cash donations online through our website or mailed to us throughout the year. However, we are humbled & encouraged by the unique ways some of our heart families & their friends choose to support us & wanted to make sure they know how much we appreciate these special gestures. We failed to post a few of our 30 Days of Thanks in November so are finishing them up now! 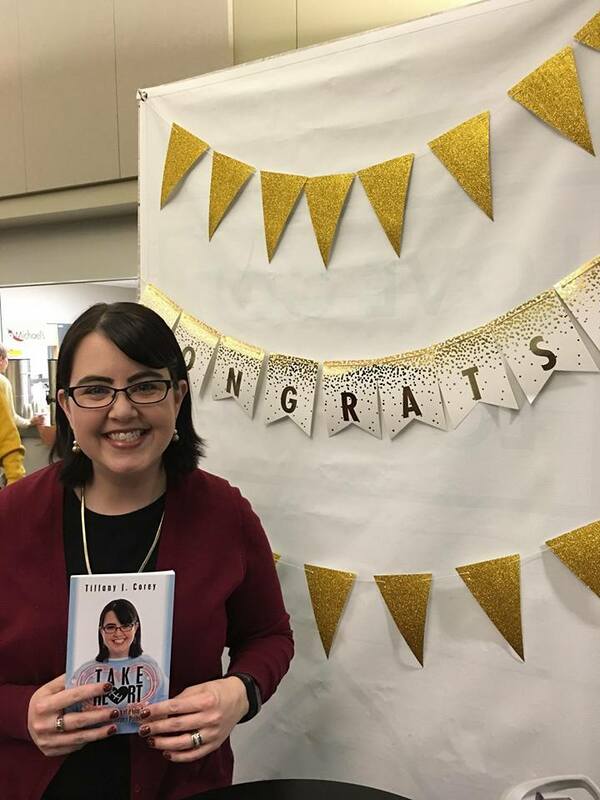 Thanks to Tiffany Corey for writing up this guest blog post about her book launch party for her book, Take Heart: The life and lessons of a four-time open heart surgery patient. My name is Tiffany Corey and I am a CHD adult. The shortest version of my story is that I was born with a heart defect called pulmonary arteriosus. This means that the pulmonary valve in my heart wasn’t formed correctly. I had my first heart surgery when I was 18 hours old and my first open heart surgery when I was two years old. I lived a fairly normal childhood and then when I was 13 years old my tricuspid valve in my heart stopped working. I had open heart surgery again to hopefully repair that valve. Through a lot of difficult circumstances in the operating room, it was determined the valve needed to be replaced with a pig valve which meant it would have to keep being replaced whenever the valve wore out. It first wore out when I was 19 years old because between 13 and 19 I went through puberty. All the calcium in my body caused the valve to become calcified and need to be replaced. When I was 24 years old I got a staph infection and because that valve was the only “foreign” thing in my body it got infected. I became severely sick and it was the closest to death I’ve ever come. I recovered and have been going strong for 11 years with no further heart issues. Besides the yearly heart and pacemaker check up I haven’t had to have any further interventions. My overall mission and passion in life is to teach people to be health care advocates for themselves and the people they love. I really want people to understand that they need to be a part of their own health care team. I decided the best way to do this is to write a book about my own story, and start a blog. 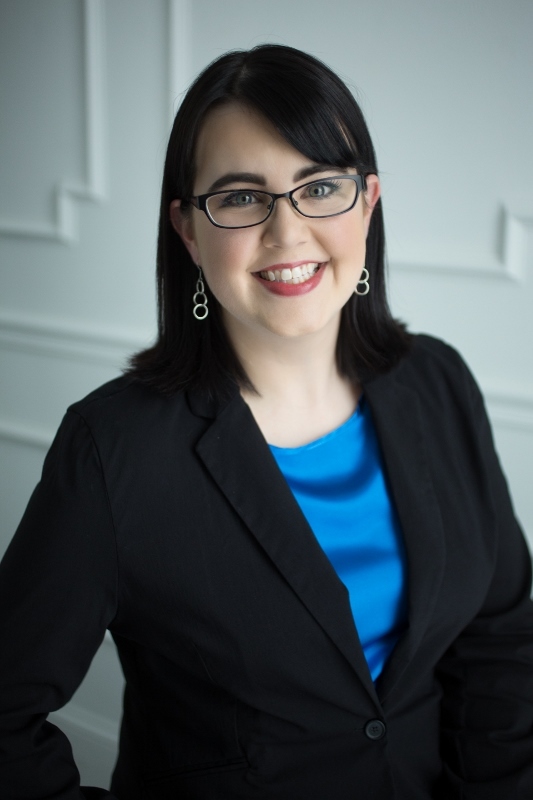 (https://www.tiffanyjcorey.com) In the book, I explain a lot more about the procedures, the effect each surgery had on me and my family, what I learned from each surgery and my advice to teach the reader everything I have learned about being an advocate for myself. My book was published a year ago and you can now purchase it on Amazon!! It is called Take Heart: The life and lessons of a four-time open heart surgery patient. (https://www.amazon.com/Take-Heart-lessons-surgery-patient-ebook/dp/B076N4QZGD/ref=sr_1_1?ie=UTF8&qid=1543077845&sr=8-1&keywords=tiffany+corey) It is available in paperback and Kindle versions. My hope is that it is educational and encouraging to each reader. As I was writing my book I was planning on starting my own non-profit to help other families like my own both financially and emotionally. As I was talking over all my big dreams and plans one night with my husband he said, “Do you know if there is already a group like that out there?” I had never thought to look. I went to the computer and searched around for a bit and came across Help-a-Heart. The more I read about them, the more I knew I wanted to be involved with them. They were doing everything I had dreamed of doing and I had to be a part of it. I went to my first support group meeting in April 2017. I introduced myself to Wendy and Emily and told them my story. I told them I wanted to be involved… and as they say the rest is history. My book launched in October of 2017 and I didn’t want my book launch party to be just about me. I want to help people with my book and I also felt it was important to help people through my party. I wanted to give Help-a-Heart a spotlight. 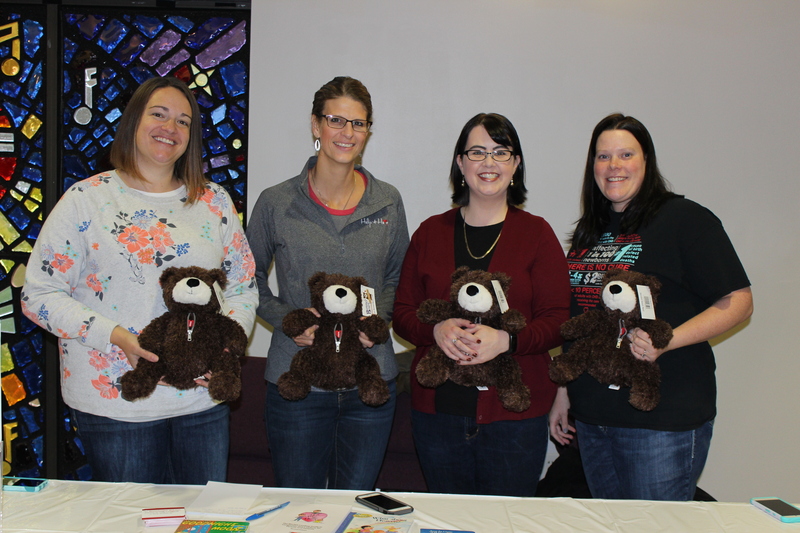 At the beginning of that year, they set a goal to give away 100 Bummer Bears to kids who were having open heart surgeries this year. Bummer Bears are teddy bears that have zippers down the middle and a patched-up heart on the inside. They set up a sponsorship program that for $40 a bear will be given to a heart kid in your name. I was moved by this goal because I was given a teddy bear by my Aunt and Uncle when I was two years old. 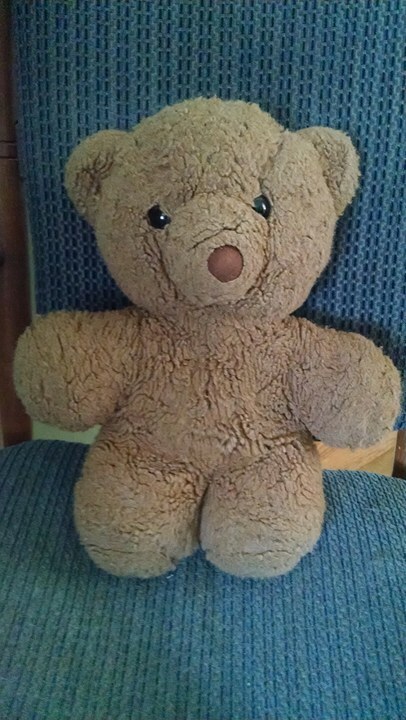 This bear has been my comfort and mascot for all four of my open heart surgeries. I wanted other heart kids to have a bear to hold, love, and cry into when they needed comfort. Also sleeping with the teddy bear can provide comfort for heart patient’s right after surgery. I found that being a side sleeper can be very uncomfortable after open heart surgery. You see, the arm that is on top when you are lying on your side can feel like its crushing down on your chest and cause a lot of pain after surgery. A teddy bear, or even a pillow, can prop that arm up enough that it no longer hurts as you try to sleep. I asked one of the co-founders of Help-a-Heart, Emily Graber if she would be able to come set up a table at my book launch party. 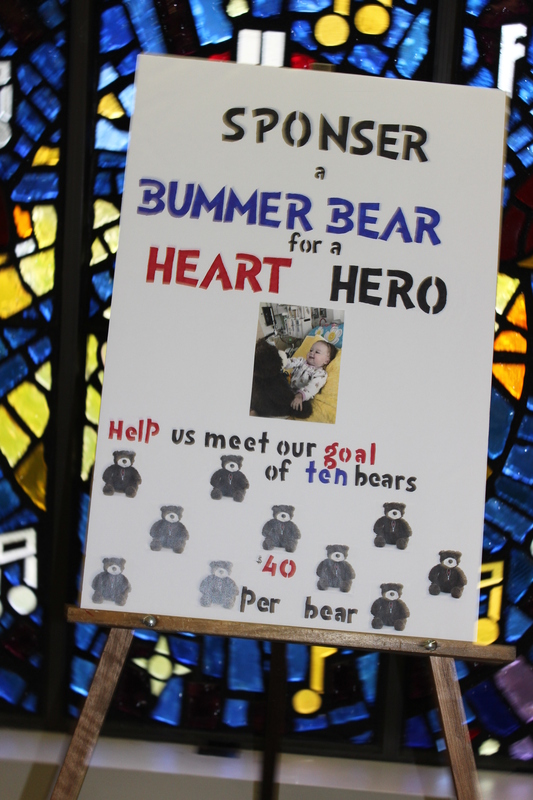 I wanted people to learn more about Help-a-Heart and about the Bummer Bear sponsorship. My goal for the day was to get 10 bears sponsored through my party. Emily spoke after my speech and then was able to help inform many people about their non-profit organization. I was so grateful to have them there. At the end of the day, 12 bears were sponsored. 12!!! My heart was (and still is) so excited and blessed by the caring people who gave to these heart kiddos. Help-a-Heart has been so supportive of me and my book. I am blessed and honored to help them in any way I can. I love being able to give back to other families just like my own who are just starting or still walking through this CHD journey. I pray blessings on all of you and your heart heroes. Please read my book and give to Help-a-Heart in some way this year if you haven’t already. Thank you!